Many of the latest 3D Mapping and sensing applications are using VCSEL chips with custom emitter arrangements as sources for structured light sensing technologies. These applications benefit from the high spots density over the entire field of view (FOV). 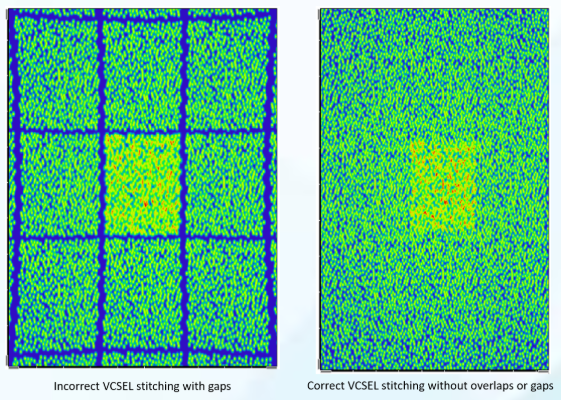 Designing specially tailored diffractive optical elements (DOEs), Holo/Or can tile the FOV with a VCSEL pattern by replicating it without any overlaps or gaps, resulting in a pattern containing thousands of spots at either a random or custom distribution. This technology is suited for 3D sensing, Volume Mapping and Machine Vision. Read more about Structured Light.